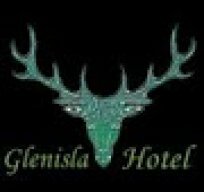 The Glenisla Hotel is a great place for a delicious meal or some local ales. A roaring log fire adds atmosphere and the food is really tasty. I took my son out for a meal recently and he declared that his burger was the best he had ever eaten! 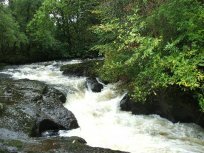 Enjoy a scenic walk through a grove of huge trees and along the swirling pools and falls of The River Braan. 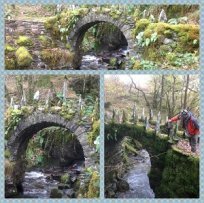 This lovely woodland walk winds along the river & through open countryside beyond the Hermitage in the direction of Trochry, ending up at the lovely Rumbling Bridge and the tumbling water. Ospreys have nested in the dead pine at Morenish for the past five years, rearing two chicks on each occasion. They can be seen from the dining tables in the Morenish Mews self catering cottage from early April to end August. 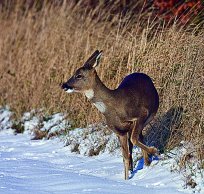 Woodpeckers, red squirrels and stags can also be seen in the garden. Anything is possible when there are no 'after hours' lights. Dark skies at Tomich, the Milky Way is a frequent visitor to our night skies. 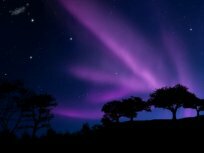 We even manage the Aurora Borealis - Northern Lights to Highlanders and Merry Dancers to Islanders. Definitely worth a pit stop on a clear night. Castle Stalker can be viewed from many angles but one of our favourites is from the Jubilee Bridge. You can walk along the cycle path (the old railway line) and across the morach to Jubilee Bridge- from here you get stunning views of the Morven hills, with Loch Linnhe in front and the castle too. Loudounhill is where famous Battles were fought. There are two monuments to the Battles very close to Loudounhill. 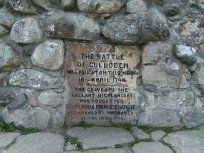 The Battle of Drumclog was on the 1st of June 1679, and The Battle of Loudounhill was fought in May 1307. The hill itself is a volcanic plug which is breath-taking to look at. The area around Tomintoul is renowned for the number and quality of deer. Professional guides accompany stalkers for roe-buck and red stags up to medal class, or doe and hind. A mixture of wooded and hill terrain serves to provide excellent and challenging sport. Discover 7Stanes MTB trails at Newcastleton plus the Xross border trails to Kielder Water & Forest Park. Approx 17 miles off road trails between Newcastleton and Kielder, further 28 miles of waterside trails at Kielder, as well as trails like the infamous Lonesome Pine trail with spectacular views. Popular pub and shabby chic bistro. Live Folk Music Thursday nights. All day food designed under chef Tom Lewis. Excellent cakes by the MHOR Bread Bakery. Pop up Barber for Blokes Wednesdays at 5.30. Al fresco food deck with gentle outdoor music. Next to Cycle Route 7. 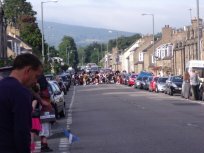 Annual "Spring Fayre" March. The K9 Health centre provides everything you need for your dogs. Healthy biscuits, gifts, beds, etc... and Hydrotherapy, massage, dog training and you can leave your dogs there whilst having a meal at the excellent cafe next door Lochlands Mill. Lip na Cloiche garden will surprise and enchant. A plantswoman extraordinaire, Lucy Mackenzie has grown this garden - from a bare hillside into an imaginatively shaped and interestingly planted haven. 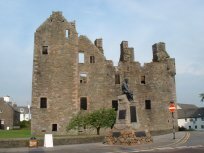 The Spirit of Scotland Monument marks the site on Loudounhill where William Wallace and his small army won the Battle of Drumclog in 1679 against the much larger English army. Take a walk along the breakwater in Craobh Haven at dusk and if you’re luck’s in, you may see a family of otters playing in the seaweed at the water’s edge. They are wild creatures, so very unpredictable, but well worth looking out for! 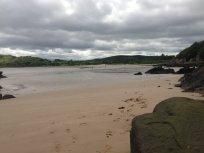 Wonderful stretch of golden sand ideal for a stroll and dog walkers. In the summer a good place to paddle and swim. Great views up the coast line of Scotland and over to the Black Isle. Ideal place for bird watchers. The villages of Newport-on-Tay and Wormit are ideal to view a fabulous sunset behind the Tay rail bridge. Drive along the waters edge from Tayport to Newport then Wormit and stop en-route at The Newport or The View Restaurant for a bite to eat. Ruined Castle Tioram strong hold of the Clan Ranald sited on the tidal island Eilean Tioram where Loch Moidart and the river Shiel meet. Now closed to visitors, explore at low tide and look at the exterior. Great wildlife, eagles, otters, oyster catchers, seals, deer, red squirrels all close by. This beautiful restaurant has wonderful staff and great quality food. You can either hire bikes in Port Appin or bring your own. Catch the ferry across to Lismore from Port Appin. It is a beautiful island to cycle on - to Port Ramsay, to the broch, two castles to visit and the heritage centre. Ferries run regularly. 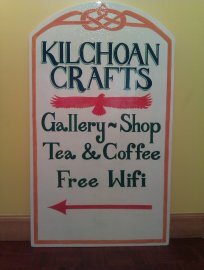 In Kilchoan Crafts we are serving home baking and fresh coffee along with selling a selection of paintings and crafts. 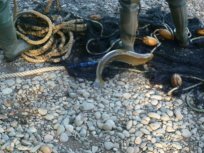 Many years ago salmon were landed on the River Tweed using large nets and cobble boats. The last remaining place is on the bank below Paxton House. (Note - only through the salmon fishing season). Stop for afternoon tea or walk up river to the Chain Bridge Honey Farm, half a mile upstream. 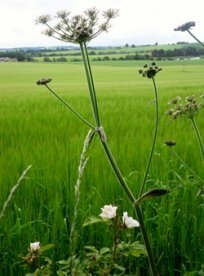 See an abundance of wildlife in, and on, the rivers around Blairgowrie throughout the year. The River Ericht is a short walk from South Littleton Cottages and has beavers, otters, deer, kingfishers, heron, buzzards, red kite, and a huge variety of other small birds. After 7pm is the best time. The slip way in front of Fuchsia Cottage is used by the local sailing club. The frequent sailing events and provide passive interest whilst relaxing in the front garden during the frequent sunny and sheltered days of summer. 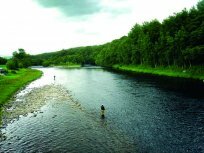 The River Spey is one of Scotland’s most prolific salmon and sea trout fisheries. Knockando is one of the local estates that offer day and weekly permits to fish on the river. Fishing permits are also available from local angling clubs. The season runs from 10 Feb to 30 September. Plodda Falls is a spectacular waterfall over 150 feet high. It is situated in between Tomich and Cougie around half an hour drive from Eagle Brae. The Forestry Commission have recently built a new viewing platform so you can stand right on top of the point from which the falls drop… spectacular! 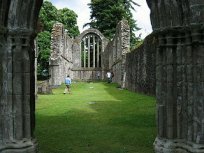 On the largest island on the Lake of Menteith is Inchmahome Priory, established around 1238 by a small community of Augustinian canons. Their founder and patron was Walter Comyn, Earl of Menteith. Visitors include Mary Queen of Scots. 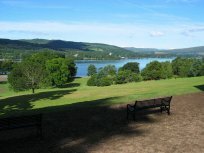 Great for a picnic with the family by boat from Port of Menteith. Enter Sustans Cycle Route 7 off road from the A84 Craggan signposted 7 and St Angus church. Walk or cycle up hill to the junction. Turn right for Glen Ogle to Killin 3 - 7 miles or left for Balquhidder MHOR84 and on to Strathyre 3-7 miles. This is also part of the Rob Roy Way and Scotland's Trail. Try out this great dog-friendly, countryside walk with lots to sniff and bark at. At the top of the farm there are great views over Dundee and the Tay Estuary. After you've worked up an appetite you can head to the Cairn O'Mount bar at Forbes of Kingennie Country Resort for a bite to eat. Take time to watch the rocks outside the Lodges and you will have the pleasure of seeing our resident Otter Family fishing on the coast! Shhhh... It's a secret so we do not want to scare them away. On a warm summer's day there is nothing more satisfying than an ice cream and a walk along the beach. We're lucky enough to be located just a short drive away from Broughty Ferry, which is home to Visocchis, a real Italian ice cream parlour, and a glorious beach with views of Broughty Ferry Castle. A wonderfully hidden, out of the way, fairly easy 7 mile wander along the Eastern shore of Loch Lomond. With a round trip from Tarbet with Cruise Loch Lomond, take a picnic, enjoy the impressive Arklet Waterfall and take in the stunning views. You might even spot the wild goats. A truly lovely day. Buchanty Spout on the River Almond has a spectacular waterfall and rapids, where the river cascades over a narrow gorge. 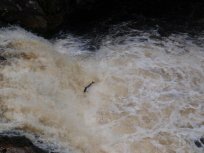 It is a great place to view salmon as they make their way upriver in September, leaping up the waterfall. This walk will take you through a spectacular glacial melt-water glen that will not only enchant you, but gives you the opportunity to see a multitude of wildlife such as Scottish wild cat, deer, hare, and otters. Dripping with greenery, padded with moss, a tumbling burn: the magical world of Puck’s Glen is surely one of Scotland’s best-kept secrets. The paths weave and wind over the hillside and though the forest, past spectacular waterfalls, viewpoints and stunning rhododendrons. A hidden gem. The infamous Boleskine House is right next door. It was owned from 1899 by Aleister Crowley (The Beast) who practiced in the occult. The house is said to be haunted, with a tunnel linking it to the graveyard. In the early 1970s, it was owned by Led Zeppelin guitarist Jimmy Page. 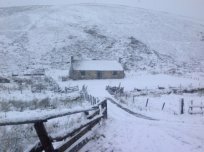 Our properties offer comfortable cosy accommodation within easy driving distance of The Lecht Ski Centre near Tomintoul. You will be able to enjoy some stunning scenery while driving to the Pistes. There are ski slopes for all abilities or simply take a sled and have fun with the children. St Fillans Golf Course is a picturesque 9 hole course at the East end of Loch Earn. Professional Sandy Lyle claims it as his favourite inland course. The course is surrounded by towering hills and steeped in history. Day visitors are always made to feel most welcome here. Cuil Bay - otter sighted! 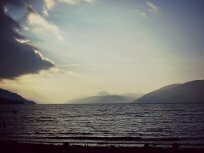 Cuil Bay - pebble beach with scenic walks out to the point, with spectacular views down Loch Linnhe towards Mull, and north towards Fort William. Otter was sighted in the second bay over on the way to the point - he seemed very at home and familiar here. Spring secret - In April you can take a dawn safari trip through the Corrimony reserve with RSPB staff to get up close and personal with the local black grouse as the males strut their funky stuff to woo the females. Enjoy fantastic views. Booking essential. Port Alltanabradhan is a wonderful, peaceful cove with white sand and rock pools. A burn tumbles down to meet the sea after passing by and through a ruined corn mill, whilst behind nearby rocks a sea cave produces spumes of spray from a blow hole. Superb viewpoint with stunning view. Narrow entrance to the Cromarty Firth 463 ft. Watch the occasional liners such as the QE2 arriving to enter the firth. Site of substantial military gun emplacements, coastal batteries from WW1 & WW2. Designed to protect the firth from U boats. 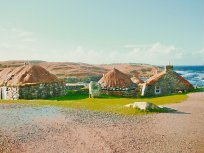 Visit the Blackhouse village and sheltered shore at Gearranan, Isle of Lewis. The village was occupied till the 1970s. It is restored and has a museum and cafe. A wonderful sun trap and great walks along the coast in both directions. 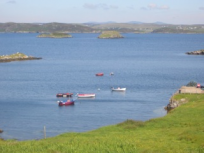 Experience life as it was for islanders in Lewis - a hidden gem. Believed to be the oldest short-hole course in the world, the Bruntsfield Links course was created in 1895. You play for free, just bring your own clubs and balls, or you can hire them at the Golf Tavern on the edge of the links. Enjoy lovely views over the meadows towards the city centre. 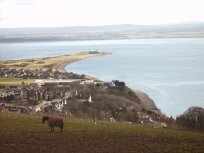 Chanonry Point: Renowned viewing area to watch the Moray Firth bottlenose dolphins jump & perform. Sometimes only 20 yards from the beach. Historic location and memorial to Kenneth Mckenzie or Coinneach Odhar/Brahn Seer where he was burned in a barrel of tar approx 1675. 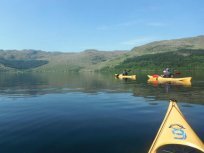 Accompanied by specialist sea safari guides, this is your opportunity to try sea kayaking on the iconic Scottish fjord, Loch Long, or a leisurely day's open (Canadian) canoe safari on Loch Lomond. 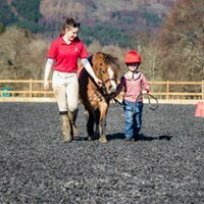 Suitable for adults and older children, all necessary protective clothing and equipment is provided. On a hill overlooking the town, this granite tower inspired by Rome's Coliseum is most visible from the sea. 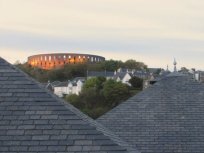 It's worth the walk via Oban's winding, steep and narrow streets above George Street for the views alone. 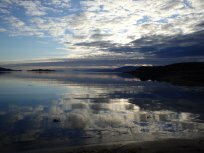 Go at sunset and look out over the firth of Lorne and the Inner Hebridean islands. The Fairy Bridge is an enchanting small stone bridge above a waterfall. Along the edges of the bridge stand a series of upthrust stones, it's like something from Lord of the Rings and is in a magical setting in lush woodland. 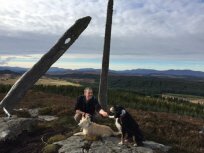 The Speyside Way is a wonderful long distance walk from Buckie to Aviemore. There is an optional spur to Tomintoul which gives magnificent views over the Cairngorm mountains and you cannot fail to be impressed by the fantastic landscape in this whisky distilling region of North East Scotland. 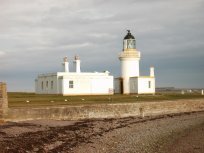 The Ardnamurchan Lighthouse supports a tea room, shop and an exhibition centre. The exhibition centre contains interesting exhibits on the history and workings of the lighthouse and on the geology of the Ardnamurchan. You can also climb the lighthouse itself to spot cetaceans and seabirds. All along the coast from Inverness to Banff you can spot a group of the Moray Firth's colony of bottlenose dolphins. The best places to see the dolphins are the Spey Bay Wildlife centre and off Cromarty or Fort George. A boat trip with Moray Firth Boat Charter is a great way to see the dolphins. 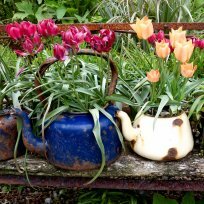 Situated on the ground floor of the main house The Coffee Pot is a cafe open for teas, coffees, home baking and light lunches such as baguettes and soup and a roll (served all day). A central location making it an ideal place to stop if touring around the island. 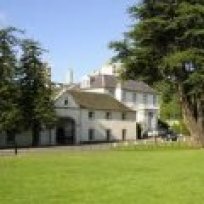 Walk through the signposted story of Wilsontown Ironworks (Est 1779) and learn about enterprise, innovation, disputes and sheer hard work. Now a pleasant country and forest walk. Clashnessie beach is a beautiful untouched beach, a must visit when staying in and around Lochinver and Assynt! A fabulous cafe and restaurant that also boasts a great deli and wonderful gift shop. It also has an outside seating area that overlooks Loch Leven and a great play area. It's also very welcoming to dogs. It's a great stop off point if you're walking Loch Leven's Heritage Trail! Blue skies and turquoise beaches! My favourite, Garry Beach, north of Tolsta, one of several beautiful beaches on the island, with inlets, coves and cliffs to enjoy with few others around. Choose a long summer day to head across the 'bridge to nowhere' for a 10 mile clifftop walk to Ness, exploring abandoned villages on the way. 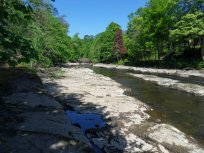 There are great walks along the banks of the Ericht in Blairgowrie & if it is warm one can paddle from the large flat stones at the side of the River. Just make sure that the water level is quite low as otherwise there can be strong currents. You can also follow the river up to the Falls of Ericht. 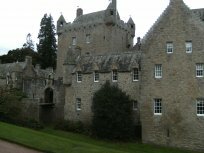 Visit the historical Cawdor Castle built by the Thane of Cawdor in the 14th Century which has been linked with Shakespeare's MacBeth, enjoy the gardens and ramble through the extensive woodland nature trails, play a round of golf on the castle's own 9-hole golf course, or enjoy a lunch in the café. Aberlour is situated beside the River Spey, has excellent shops, pubs and is home to Walkers Shortbread. The village is surrounded by spectacular scenery and has great history. In August, the Aberlour Highland Games takes place with massed Pipe Bands, and Highland dancing. Onich shore is a fascinating SSSI carved out of the ripple effect jagged Dalradian rock outcrops, with permanent barbecue spot and lookout point. See otters, seals, seabirds and possibly a badger, not to mention a great view of the Isle of Mull. This circular walk is in the sheltered Teviot Valley where you can see otters, fish and the skills of salmon fishers. Starting at Junction Pool in Kelso, the walk takes you across the River Teviot via the Roxburgh Viaduct, following an elevated path along an old railway line. A walk up Glen Stockdale, Appin, is beautiful. Follow a landrover track from Kinlochlaich. A few minutes up and you get this view looking down Loch Linnhe and a glimpse of Castle Stalker; keep going and 1/2hr later you reach a bridge and the peaceful glen opens out. You can often spot Sea Eagles. 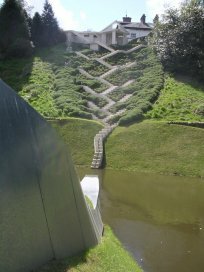 The Maclaurin Art Gallery in Rozelle Estate Park is a gem. Modern with good changing exhibitions. Rozelle House has many great Scottish art works and has permanent displays. Also a lovely park with swan pond and an excellent restaurant. 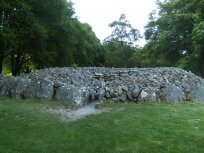 The 3 Clava Cairns at Balnuaran are one of the finest examples of Bronze Age circular chamber tombs in the North East of Scotland. The stone chambers were built, and then stones were build up around them to form a mound with a long passage so that the tomb could be accessed. The River Earn is full of wildlife and history. The site of the medieval Old Bridge of Earn is a scheduled Historic Scotland monument. The remains consist of an abutment and approach ramp in the River Earn and on its Northern bank. The walk along The Nevis Gorge to the An Steall falls has been described as one of the best short walks in Scotland. The walk starts at the upper falls car park at the top of Glen Nevis. The car park can get busy, so best to arrive early or out of the main holiday season. A truly amazing walk. 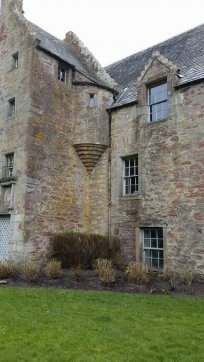 The historical Cawdor Castle was built by the Thane of Cawdor in the 14th Centry. 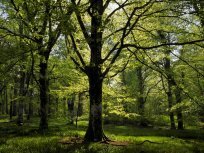 You can stroll through the 3 gardens or ramble on the extensive woodland nature trails. Play golf on the 9-hole course or just soak up the atmosphere of the fairytail castle which has links to Shakespeare's Macbeth. Lochinver mobile catering van, known locally as The Panini Van, has a 5 star rating on Trip Advisor. Using local produce where possible, everything is freshly prepared to order at affordable prices. Find it in the village car park, Monday to Friday. Balloch Castle and Country Park is on the banks of Loch Lomond. Walk, cycle, take a picnic. Parking available. Also take a boat trip on Loch Lomond. This is an exhibition of the marine world designed and run by SAMS - the Scottish Association for Marine Science, which is next door. It is full of interest for those interested in the sea and what it's like under the sea and under the oceans. 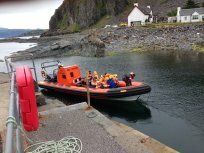 One of the highlights of our visits north, at any time of year, is the trip out of Easdale in these high speed RIB's, with the vast array of wildlife all around - whales, porpoises, Golden and Sea Eagles, seals and otters, Mountain goats... Well worth the trip just south of Oban for all ages. 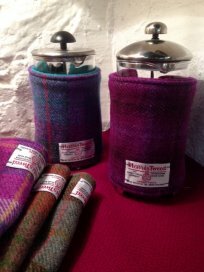 SULA Harris Tweed & Scottish wool soft furnishing products + gifts (napkins, door stops, buttons... Fantastic range of colours & textures. Bespoke service for curtains, cushions upholstery. Shop also sells local artists work; jewellery, paintings, quilts, turned wood, photographs, signed books. 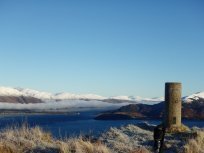 The real secret of Castle Tioram is that it is the start of several stunning walks including the Silver Walk heading along the coast towards Ardmolich. Another lovely circular walk passes by the deserted village of Briaig, two hill lochans and back by The River Shiel. Look out for otters and eagles. 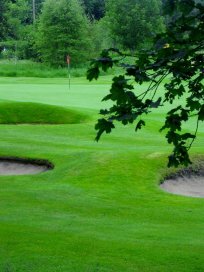 Mains of Taymouth Golf Course is a challenge for all levels of golfer. 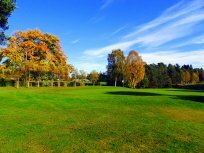 In beautiful parkland setting, this 9 hole course offers undulating fairways, great greens and stunning views. It sits within Mains of Taymouth's Estate and offers discounted golf for residents. Children welcome. The name Inchcailloch means "Isle of the old woman" or "Isle of the Cowled Woman" in the Scottish Gaelic. Saint Kentigerna came to Scotland from Ireland to preach and spread Christianity and the island is thought to be named after her. Ruined church and MacGregor burial ground with woodland walks. Quaint tearoom featured in the film '39 steps'. 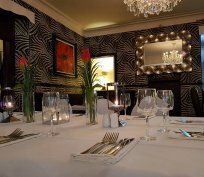 Menu is varied combining Scottish & Hungarian cuisine. Also open for evening meals but booking would be advisable. 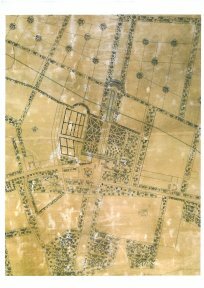 Walk around the historic designed landscape of Carmichael Estate, as depicted in a 1750 map. Cottage guests can explore the features remaining on the ground today. The Visitor Centre Farm Shop, where the original map is on display, has information on Carmichael history walks and maps for sale. Iconic West Coast silvery sands, machair and stunning views await you at the isolated beach of Smirisary. 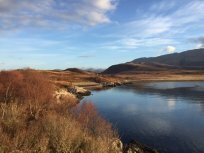 A lovely walk from Glenuig through the romantic crofting village of Smirisary along a remote coastal path onto a lovely beach with fine views of The Small Isles. A great place for a picnic. Just round the corner from Springwell catch the Corran Ferry to Ardgour and spectacular Morvern. If you keep driving you can reach the Ardnamurchan lighthouse, the most westerly point on mainland Britain. Your car journey takes you through beautiful oakwoods on the shores of Loch Sunart. "A mouse took a stroll through the deep dark wood". Take your little ones on an imagination inspiring adventure through the stunning Ardkinglas woodland gardens, discovering the mouse, fox, owl and Grufflalo from Julia Donaldson's much-loved stories. Perfect for any age. In the Learnie Forest on the Black Isle. 16 kms of trails for all skill levels with stunning views. Green, Blue and Black graded trails. Car Park available £2.00 per day. Fantastic views up towards Glencoe, across to the Morven Hills and down Loch Linnhe towards Mull. It doesn't take long to gain the height and reach the top for a stunning panoramic view. 25-35 minutes up at a good pace! 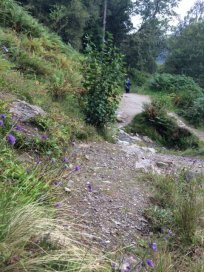 There is a substantial network of paths in the Lochalsh penisula suitable for walkers and mountain bikes. The paths are accessible directly from Varis. A spectacular walking route over the summits taking in some of the most famous Pentland peaks with views to the Moorfoots, Edinburgh, the Forth & the Highland mountains. The route winds up from Eastside over the Kips, Scald Law & Carnethy finishing at Flotterstone pub for a well earned pint! 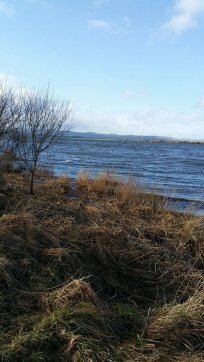 Beautiful 19.25km (12 miles) walk/cycle around Loch leven Nature Reserve. 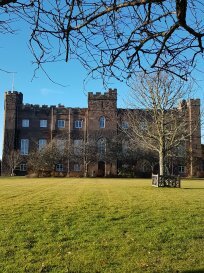 Boat trips to Castle Island where Mary Queen of Scots was imprisoned Apr-Oct. Cafe stops at Loch Leven Larder and RSPB Kinross where there are telescopes and enthusiastic staff are on hand to share their bird knowledge. 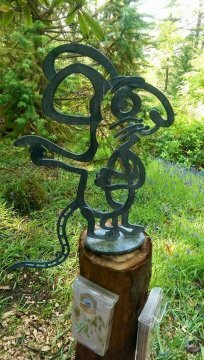 A haven for well-marked walks & mountain biking - hidden treasures & sculptures. A Peace Trail, children’s play area, tree house & bird watching hide. Classroom for woodwork & art classes. Regular events.Recognised Dark Sky Discovery site. Views over Loch Ness. Joins up with the Great Glen Way. Turn right when you leave Springwell and catch the Corran Ferry. 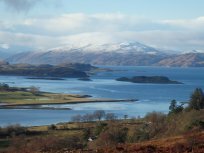 Land at Ardgour, doorstep to the Ardnamurchan Peninsula and Morvern, most westerly point of mainland Britain - ancient oakwoods, stunning beaches, views to the Western Isles, amazing wildlife. The best of the West at your fingertips. 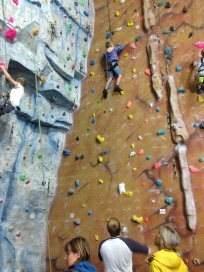 Indoor climbing for all ages, bouldering wall and one of Europes biggest climbing walls. Great cafe and shop, a must do whilst up in this region for climbers of all abilities, and also superb for children. Visit the distilleries dotted along Speyside and see how history shaped the whisky industry. The trail includes, Glen Moray, Speyside Cooperage, The Glenlivet, Strathisla, Glen Grant, Dallas Dhu Historic Distillery, Benromach, and Cardhu. Many of which are open all year round. The impressive Loup of Fintry waterfall is located near Stirling, two miles from the village of Fintry. The water from the River Endrick plummets 30 metres at the Loup of Fintry, and the waterfall is best seen after a period of heavy rain or snow. It's a great picnic spot. 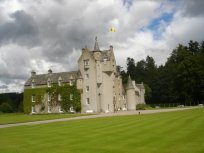 Ballindalloch Castle Golf Course is in a parkland setting close to the River Spey. Among 150 year old trees, the course has nine championship quality greens and 18 tees with a par of 72, making it a challenging prospect. Ecclesiamagirdle Chapel built circa 1500 (pronounced Exmagirdle, and sometimes spelt that way too). The chapel and Ecclesiamagirdle House (early 17th Century) nestle at the bottom of the Ochils, just outside Bridge of Earn. Gravestones from the 1600's including The Covenanters Grave. You can walk from Kinlochlaich! Head up under the kids treehouse, up the fence line, through an old gate and then up! It is one of these hills that has several false summits. 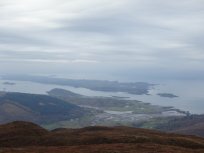 It's steep and steady with no path & pausing to rest you get fabulous views down Loch Linnhe. Fab views of Castle Stalker. This is a fairly gentle walk with lots on wildlife interest. The walk is fairly gentle: up one side of a gorge, across a bridge at the top and back down the other side. It is interesting in all seasons and only takes an hour. It is thought that golf has been played here since 1702. One of the finest links golf course in Scotland, with play down and back along the peninsula with the sea on both sides. Described as a gem of a course. 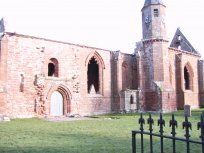 A short stroll from Cologin Farm across a well laid field path bordering a burn will take you to the splendid ruins of Kilbride church, currently the focus of academic research. Current owner Liam Griffin's knowledge and enthusiasm for the Clan MacDougall are unequalled! Kenmore Highland Games are known as the family friendly games and is the only Highland Games held in an evening. Entry is only £5 per adult and children go free. Entertainment for all the family with all traditional heavy events like toss the caber, tug of war and much more. 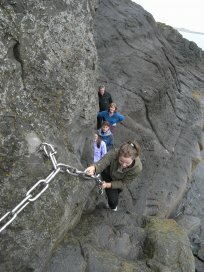 An East Coast secret, this unique cliff scramble/crawl/walk uses chains bolted to the rocks. Ideal for families (not small children under 10 though). 5.65km walk with 0.5km the actual chains bit. Explore caves and coves on the way. Check the tides before you go, can't be done at high tide. Fortrose: Historic Cathedral built in the 13th century. The sacristy and chapter house are still standing. 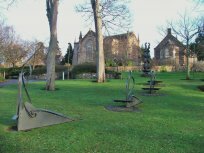 Cathedral Square is at the centre of the old ecclesiastical centre of Fortrose. The old Bishops gardens lead down to the beach and harbour. BLiSS Trail is an art installation and ornamental feature trail that links Lochearnhead with neighbouring villages. BLiSS stands for Balquhidder, Lochearnhead, Strathyre and St Fillans and the i is for tourist information. The trail is mapped at www.robroycountry.com/blisstrail for #IAD2016. Tramp the Pentland Hills in search of the Covenanter's Grave. Follow sheep paths in this wild, almost desolate landscape, maybe disturb a grouse. 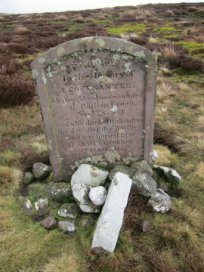 At NT077523 you'll light upon the Covenanter's Grave, a stone erected in 1841 in memory of a covenanter buried after the battle of Rullion Green 1666. When the Endrick is in spate and the salmon are leaping, this is not to be missed. The children will delight in the sight of the fish jumping - and often cry as a result if they do not succeed at the first attempt. 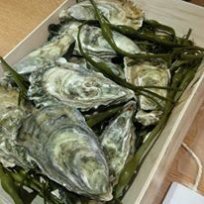 Ockran Oysters is an artisan food business that produces fresh pacific and native oysters for sale in Ullapool. 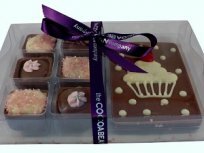 Retailing at West Coast deli in Ullapool direct orders can also be made at Leckmelm, contact via their website. Cuil Bay has three bays. You can park next to the first beach and relax. Good for swimming. You can walk on to the next two bays and then down to the point. Some folk fish from the beach. A challenging short circular walk at the back of Cromore starting beside Ceol na Mara cottage. You can make the walk as hard or easy and long or short as you wish because it's circular. Enjoy breath-taking views, the wildlife and bird life and being at one with nature. This is a registered walk. The Glenisla Hotel is about 8 miles from Ardormie Farm Cottage, a wonderful drive over the moor and up into Glenisla. From northbound A9 take left signposted for Inver & Hermitage. Park in lower car park for Hermitage (small charge). 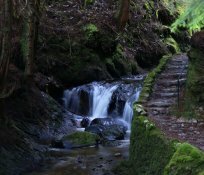 Follow signs for Inver Walk through the underpass, along riverside and pine forest, and gradually climbing to Ossian's hall and the waterfalls where there is a spectacular viewpoint. No directions required - everything visible from the accommodation! A82 to Drumnadrochit and A831 to Cannich and then follow the signs to Tomich - 4 miles further West. Just along the Port Appin road is a wee car park with information boards, a bird hide and the start of the path to the Jubliee Bridge- its only 5-10 minutes to the bridge which spans Loch Laich at high tide. Great for catching sunsets too! 7 miles out from Strathaven on the A71 to Kilmarnock road. Turn right at the cross roads where the church is situated in Drumclog. Drive for 2 miles. Turn left at the Y junction and follow the road round until you come to a car park next to the hill. The post code ML10 6QJ will bring you here. Travel south from Hawick, B6399. Newcastleton either park in Douglas Square or carry on to Dykcrofts 7stanes carpark signed over the Holm Bridge. Toilets & bike facilities available plus a shower in the village - bring a towel! Have tea in one of the cafes before you leave - delicious! From Auchteralythsteadings, drive to Forfar and then take the first exit at round about after Padanaram, and take the A90 to Dundee, then take exit for Lochlands Mill (Dundee Road) . Lip na Cloiche garden is on the B8053 on the edge of Loch Tuath, 3 miles north of Ulva Ferry. Take M74 from Glasgow to junction 8. Take A71 Kilmarnock road. Drive straight on until you come to the village of Drumclog. Take right onto Meadowfoot Road. Straight on for 2 miles. Turn left. Follow road for half mile until you reach the car park at Loudounhill. Take the A816 south from Oban towards Lochgilphead. After the village of Arduaine, watch for the right turn to Craobh Haven. Proceed into the village and park by the water. Walk south along the edge of the marina bay and out onto the breakwater. Take the turnoff for Newport-on-Tay off the A92 before heading across the bridge to Dundee or turn off the A92 towards Newport after crossing the bridge from Dundee. 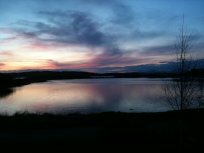 From Acharacle on A861 take 1st left to Dorlin after crossing Shiel Bridge, follow to road end where castle car park is. Coming from Lochailort on A861, take 1st right to Dorlin after Mingarry and again follow to road end and park in castle car park. Note: Single track road. Remember to check tide. Port Appin is 2.5 miles from the main road in Appin. The passenger ferry takes passengers and bikes from the end of the road. It's a 10 minute crossing. The island is about 9 miles long with lots of wee tracks and side roads to explore. Leave Briar Cottages and turn right along the A85. Turn right again at the A84 junction and follow the road up Glen Ogle. Turn right at Lix Toll signposted Killin. Follow the road all the way to the Falls of Dochart. 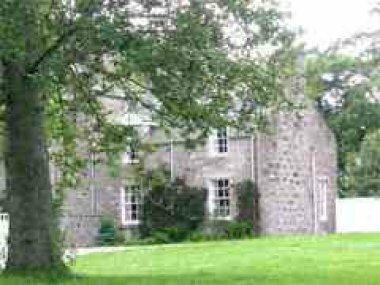 It is only a five minute walk from Tweed Cottage, Paxton, and five miles from Duns. Follow the South Littleton Path from the cottage and turn right at the end. Turn left at the metal gates and pass through the ruined steading of East Mill. Continue along the path running parallel to the river - watch for signs of beaver on the opposite bank in summer. You need to be very quiet. Knockando is on the B9012, 5 Miles from Craigellachie. Take a right out of Eagle Brae's front entrance and head for Cannich on A831. Drive straight through Cannich, past Fasnakyle power station and the entrance to the Glen Affric road, and then take a right signposted for Tomich. Drive through Tomich and continue until you reach Plodda Falls. Enjoy! Leave Briar Cottages, turn right onto A85, turn left at the A84 + A85 crossroads. Route 7 is about 500m along the A84 on the right just before the national speed limit signs start as you are about to leave Lochearnhead Village. 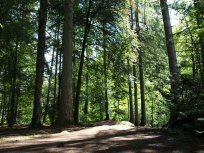 Start at the entrance to Kingennie's Woodland Lodges & take the path up to Wellbank. Once at the top of the path, take a right onto the farm track & follow the road up to the top of the farm & all the way around to bring you through the middle of the golf course, towards the fishing ponds. Turn right onto the A85 from Briar Cottages and left onto the A84 at the crossroads. In approx 2 miles turn left onto the slip road signposted Rob Roy's Grave. Turn right at MHOR84 following the road under the A84 then 3 miles to the Balquhidder sign. See the Kirk drive shortly after on the right. Keep an eye on the rocks just outside of the lodges. Follow signs for Broughty Ferry. Travel to Tarbet on the A82, half way up Loch Lomond. Take a Ferry from the Tarbet Pier over to Inversnaid. Walk to Rowardennan (7 miles). Return to Tarbet by ferry (enjoying a free drink with the Rambler ticket!). 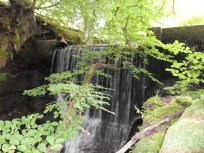 You can find the waterfall about 8 miles north of Crieff, off the B8063. From the small car park follow a short path down to some flat rocks - a great viewing platform. 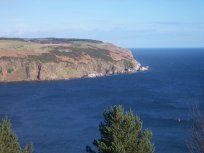 From Macduff, take the B9031 (The Coastal Trail East) towards Pennan for approximately 8 miles. Immediately past the “Old Doctor’s House” turn right, and park at the side of the road approximately 200 meters from the turn off. Take the track to the left, and enjoy your walk. Take the A82 north to Loch Lomond. Turn onto the A83 at Tarbet and continue until the junction with the A815. Turn left and pass the villages of Strachur and Glenbranter. Continue for 12 miles / 19.3 km: Puck's Glen car park is on your left. The car park is at grid reference NS 146 839. Boleskine House is just visible through the trees to the south of Sealladh-an-Loch (to the right as you look at the house from the road). 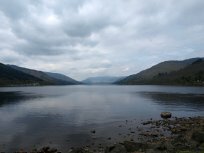 It can be seen from a boat on Loch Ness, where the depth of the loch is measured as 666! The house is now under private ownership & there is no public access. From Deveron Valley Cottages take the A97 to Huntly. From Huntly take the A920 to Dufftown ( Whisky Capital of Europe) from where Tomintoul is signposted. Just before reaching Tomintoul turn left onto the A939 and head for The Lecht. Have fun!! Leave Briar Cottages and turn left onto the A85. Stay on the road all the way through the village of St Fillans (6 miles). At the end of the village turn right signposted South Loch Earn. Follow the road until you see St Fillans Golf Club entrance on the left. Turn off in Duror down lane to Cuil Bay, past the village school, and about 0.5 miles parking along the verge edge, or large carpark. Corrimony is a 10 minute drive from Drumnadrochit on the shores of Loch Ness. 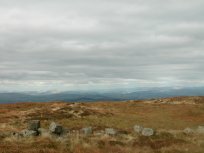 Drive along the A831 and turn left at the signs for Corrimony and the Chambered Cairn. 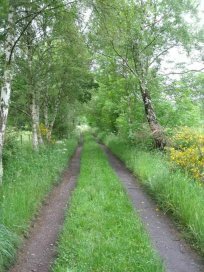 The Reserve is 5 miles from Tomich Holidays or a fantastic 45 minute stroll through the Guisachan Estate. Proceed north from Lochinver along the A837 for half a mile then turn left following signs to Drumbeg along the B869 for three and a half miles. Park in the lay by at the entrance to Cathair Dhubh Estate and follow the signposted track and path to Alltanabradhan. From Fortrose A832 via Rosemarkie to Cromarty. Through Cromarty to the sea front and take a small road "Causeway" rising steeply to the sutors. By car 3 minutes. You can see the point from Fuchsia Cottage. Easy walk via the coast and golf course 20 minutes. 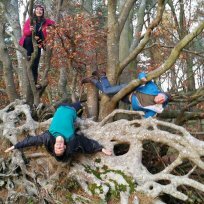 Wild by Nature - Your specialist guides will come to you, and arrange an eco adventure anywhere around Argyll, Loch Lomond, Loch Long, Loch Goil or the Gareloch. There are various routes, the most direct on foot is to turn off George Street onto to Argyll Street and on the left beside the Congregational Church use the stone steps known locally as Jacobs Ladder which will take you to Ardconnel Terrace. Turn left here and the tower will soon be visible. From Lochearnhead junction A85 turn left on to the A84 and drive for 7 miles. 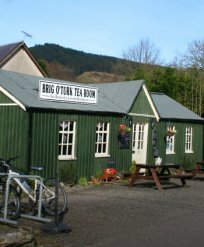 Bike Hire is based at the Strathyre village hall. Contact the owner regarding all other activity meeting points Tel: 01877 384 660. At the roundabout just east of Creagan, take the turning signposted to Invercreran. 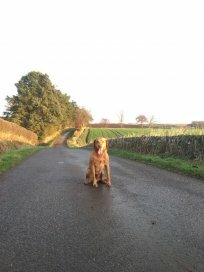 After about 2 miles (3km), bear left onto a single track road and continue up the glen for about another 2½ miles (4km). Elleric car park is at the end of the public road at grid reference NN 036 488. Access can be direct from Tomintoul, also there is parking at Blacksboat which is 0.5 miles off A95 at Marypark mid way between Aberlour and Grantown on Spey. It can also be accessed from Aberlour. Take the B8007 from Salen on the A861 and head towards Kilchoan. Pass through Kilchoan and turn right on the minor road signed towards the lighthouse. Follow the narrow single tracked road for 4 miles, passing the Sonachan Hotel, turn left at Grigadale following the sign towards the lighthouse. 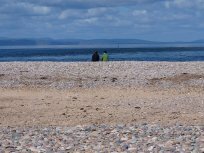 Cromarty, Fort George, Spay Bay, Banff - all on the Moray Coast. By Car Join the A706 from Junction 4 of the M8. Proceed south along the A706 towards Lanark. Take the B7016 north of Forth and follow signs for Wilsontown. 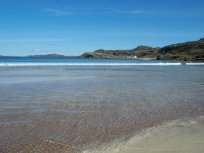 This lovely beach is located on the Drumbeg Road (B869) between Clachtoll and Drumbeg (about 6 miles north of Lochinver). Turn right out of Longhouse then left to head north on the main road, until you can go no further! The River Ericht runs close to the town's centre and starts by the bridge in the centre of Blairgowrie near the Wellmeadow. 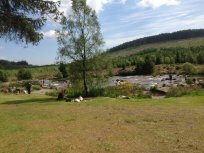 For rocky pools, a grassy picnic area and the Falls of Ericht, head to the north of Blairgowrie. Leave Inverness heading east on the A96 signposted Aberdeen for approx. 9 miles. Turn right on to the B9006 signposted Croy, Cawdor. Continue forward onto the Old Military Road - B9090 Signposted Cawdor. Turn right and turn right again into the Castle Grounds. On the A95, 10 Miles south of Elgin. Take the A82 south from Fort William towards Onich. Carry on through the village and park in the car park 2 miles further on. Walk west out of the gate (as if back towards Fort William) and after about 300 meters you are on Onich Shore. To get to the start of the walk at Junction Pool, take a right just over Kelso Old Bridge, and drive 200 yards to along the A699. Drive to Appin, turn in at the Police station. You can park at Kinlochlaich. Walk up to the farm and follow the rough track up the hill. The track ends after 2 miles in the Glen. You can actually walk all the way though to Bealach. From Ayr town centre, follow the High Street south past the town hall and then turn left onto Rozel Road. The entrance to the estate is half a mile further on. From Inverness pick up the A9 heading south. Take the slip road marked B9006 Culloden, Croy. At traffic lights turn right and travel for appro. 2.6 miles. Take the 1st right after Culloden Battlefield, the over crossroads and down over the River Nairn. 1st right and the Cairns are on your right. Right beside River Edge Lodges. From Fort William, follow the minor road from Nevis Bridge (the roundabout at the Ben Nevis Highland Centre) to the small upper falls car park at the end of the road. Full details of the walk to the falls can be found at www.wildlochaber.com and www.walkhighands.com. Take the A96 out of Inverness heading east for approximately 8 miles then take a right turn onto the B9006 signposted Croy, Cawdor. Continue forward onto Old Military Road - B9090 signedposted Cawdor. Turn right at end of village and right again into Castle grounds. Drive in to the village of Lochinver, The Panini Van can be found just past the local Post Office, in Bay View Car Park beside the Church of Scotland. Depart Loaninghead on the A811 take right towards Drymen, stay on the A811 to Balloch. Balloch Castle and Park signed posted in Balloch. Drive towards Oban from Ardshellach, and after about 2 miles from Connel bridge, look for a right turn to Dunstaffnage Castle and Dunbeg. The turn to the Ocean Explorer Centre is also there. Head South of Oban on the A816 and turn off towards Easdale Island. Well signposted all the way - best book ahead to avoid disappointment. Turn right onto A85 from Briar Cottages Lochearnhead. Turn left at 700m on to the A84 at the crossroads with the A85. In approx 2 miles take the slip road on the left signposted Kingshouse, MHOR84 + Rob Roy MacGregors Grave. Catriona's shop is on the left. Take the minor road signed towards Dorlin off the A861 between Acharacle and Mingarry. Park in the carpark at Dorlin and head right towards Castle Tioram passing Dorlin Cottage and along the coast. The start of the Silver walk is well signed. 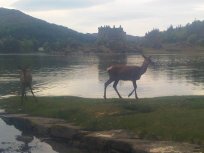 See moidart.com or walkhighlands.co.uk for walk details. 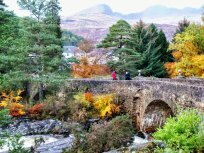 Travel through the village of Kenmore heading west on the A827, over the bridge and Mains of Taymouth sits 500 yards on the right hand side. From the Waterfront lodges walk into the village of Balmaha to Balmaha Boatyard and take the short ferry crossing. From Sandford take the A92 into Dundee and you'll recognise this stunning building as you drive across the Tay Bridge. Situated on the A821 between Aberfoyle and Callander. It is a lovely drive through the Trossachs over Duke's pass. 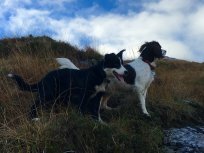 Located at the start of Glen Finglass which is a gorgeous location for a long hike or mountain bike expedition. Carmichael cottages are the service houses for the original castle and within half a mile of their cottage guests can explore both the ruined castle site and the remains of the original designed landscape clearly visible on this 263 year old map. Now a mature wood old features abound. Head towards the village of Glenuig between Acharacle and Lochailort on the A861. Follow the minor road past the Glenuig Inn for two miles and park in the small parking area at the end of the road. Full details of the walk to the beach are provided on www.moidart.com and www.walkhighlands.com. From Springwell turn right for Fort William and the ferry is on your left after 2 miles. It goes every 15 minutes and the crossing takes just 5 minutes. Go west (left) on leaving the ferry and you can then follow the signs to Ardnamurchan or alternatively, catch the ferry to Mull at Lochaline. Follow the signs from the A83 at Cairndow, Loch Fyne, to Ardkinglas Woodland Garden. From the car park, the path leads along the hill 400m to the start of Gruffalo Trail. Pick up a Trail Map from the gatehouse which will help guide you along the route. From Fortrose A832 towards Rosemarkie. 3 miles past Rosemarkie via the Fairy Glen towards Cromarty. On right hand side car park sign posted. Park at Duror Village Hall, go through the gate and follow the track up the hill. There is a wee path off the main track once you near the mast, and this leads to the Trig Point. Accessible from Varis, Reraig, Balmacara, Kyle of Lochalsh and Plockton. See map illustration attached. Route starts from Eastside Cottages or reverse the route for a Flotterstone start. From River Edge Lodges at Bridge of Earn head North on M90. Take Kinross exit 6 or 7 (or if coming from Edinburgh take exit 5 or 6) and follow the signs for Loch Leven. Park in Douglas Square in the centre of the village, follow signs to Whithaugh bridge and walk or cycle up. From Yethouse wizz down the hill! Turn right from Springwell at Onich heading for Fort William. The ferry is just through the village; about 2 miles. Travel between Forres, Elgin, Rothes, Keith, Knockando, Dufftown and Glenlivet to explore the world's only malt whisky trail. From Forres follow the A96 to Elgin, and take the A941 towards Rothes and Dufftown, or take the B9012. See www.maltwhiskytrail.com for more details. From Arnprior, go down the hill to Fintry. Take a left in the village at the cross, and then left again after the Clachan - signed Denny. The Loup is about two miles up this road. Park in a badly signed layby on the right and walk down the path. On A95 at Ballindalloch, midway between Grantown and Aberlour, close to Weiroch Lodge which is on the edge of the Ballindalloch Estate. Head up under the kids treehouse at Kinlochlaich, up the fence line, through an old gate, and then up! To reach this walk you can follow a path from the main square in the centre of Aberfeldy or from the Birks Car Park off the A826. In sight of Fuchsia Cottage- very short walk or drive. By road, take the A816 from Oban town centre and follow for 2 miles before turning right to Lerags Glen. Turn off the glen road into Cologin and leave your car at The Barn Bar (open from 11am daily during the summer season) and walk down the track to Kilbride. Enter the village of Kenmore and turn right through Taymouth Castle Gates to right and head to the free parking field. 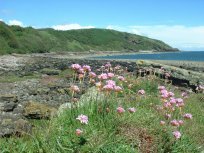 Over the border into Fife, The Chain Walk is located 1000 metres west of Earlsferry on the south Fife coast at national grid co-ordinates 346600, 699700 (NT 466, 997). Access from the East is from the village of Elie. 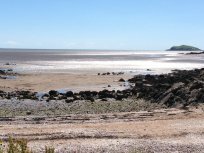 Access from the west is via Shell Bay Caravan Park. Centre of Fortrose 500 yards. Walk from Crosswoodhill Farm Holiday Cottages, or approach from A70 or A702 from Edinburgh. Park on the verge. If you want to walk to the point or next beaches, follow the track along the first beach, and keep going- its low level and muddy in some parts. You will pass a wee stone fisherman's bothy. The first beach can be busy in high summer, but the other two are much quieter. Go to the end of the village of Cromore, climb a small hill beside the last house, go through the second gate and follow the coastline where you can. It is possible to take short cuts if desired. This map and other walks on Lewis & Harris are on Walk Highlands website to download. Whisky Trail – Speyside alone there are over 40 distilleries! There is lots to see and do in Aberdeen and Grampian. Use this search to check out what is on in the area before you arrive. Seach Events in Aberdeen and Grampian. 2 quality apartments, in a listed Georgian granite building, enjoying a superb location in a quiet, historic street in the very centre of Aberdeen. Ideal base to explore the many attractions the Granite City has to offer. Delightful B-listed Georgian cottage. Minutes walk from both Inverurie’s market-town heart, and the beautiful banks of the Don and Ury rivers. A perfect respite, to both relax and explore.